Wandering in the lanes of SDA, we came across this cute little cafe, Between Buns, which has recently graced its presence in SDA. 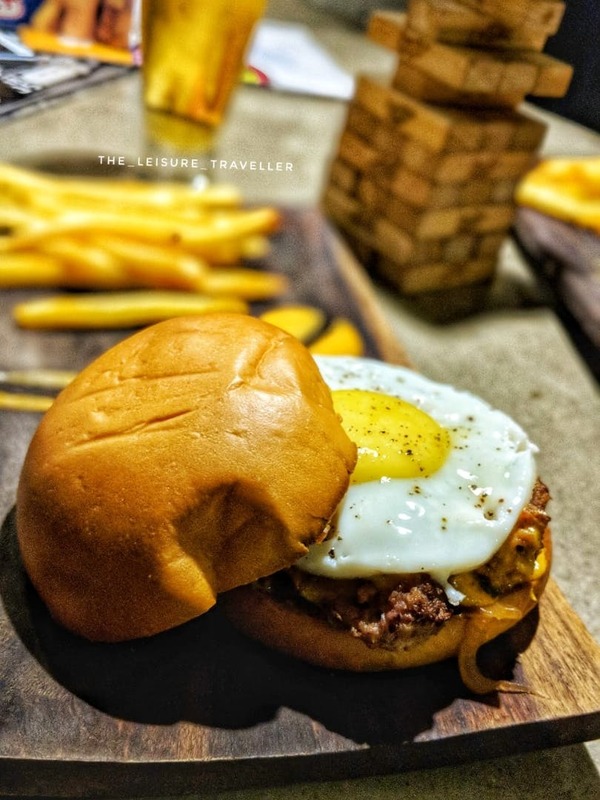 This place is apt for a burger and sandwich lovers as they serve delicious fast food. We tried their Egg Florentine Burger. It was a sumptuous, melt-in-your-mouth burger. Not only was it healthy but also tasty with a patty layered with spinach and a sunny side up egg on top served with mustard sauce and house fries. The burger might get things messy as it is overloaded and stuffed. We also tried their Chicken Schnitzel Burger which had a crispily fried fillet of herb crumbed chicken breast in a sesame brioche, served with cheddar cheese and house fries. The perfectly crisp fillet enhanced the taste of the burger. Make sure you try the Kings Pilsners. It has become our new favourite. This place not only serves amazing food but has a great ambience too. They play really good music and have games like Scrabble, Jenga, ludo, etc. to keep everyone occupied.